Mueller is battling renewed internal tensions that emerged last week. FRANKFURT -- Volkswagen Group CEO Matthias Mueller sought to calm nerves at the automaker as festering disputes with labor leaders and allegations from former Chairman Ferdinand Piech threatened to disrupt efforts to overcome its diesel-cheating scandal. "You’re all certainly as irritated as I am, because Volkswagen needs something totally different now: namely, concentration in order to cleanly emerge from the diesel crisis," Mueller said Monday in a letter to staff obtained by Bloomberg, vowing to resolve the conflicts. Mueller, pushing to stabilize Volkswagen after the worst business crisis in its history erupted in September 2015, is battling renewed internal tensions that emerged last week. A fresh spat with labor leaders at the namesake VW brand raised questions over a planned overhaul at the carmaker’s biggest unit only three months after a landmark agreement to slash costs. Meanwhile, Piech rekindled accusations that top managers, including former CEO Martin Winterkorn, knew about rigged diesel engines months before the manufacturer admitted to it after reportedly being tipped off by Israel’s spy agency. 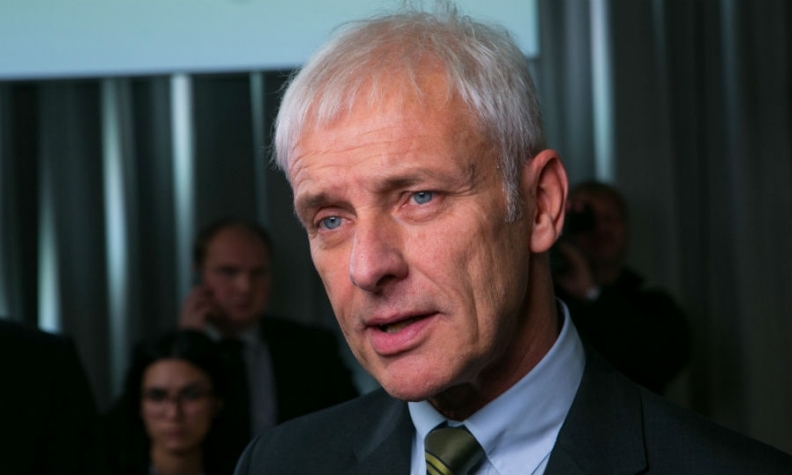 The tension between labor leaders and VW-brand chief Herbert Diess remains unresolved. A meeting with the unit’s management was “adjourned without result” early Monday, the carmaker’s works council said in an e-mailed statement. The labor representatives said they want VW group management under Mueller to weigh in more strongly on implementation of the so-called Future Pact for the division. The deal, signed in November, includes a planned workforce reduction about 30,000 jobs as part of a plan to lower costs by 3.7 billion euros ($3.9 billion). “I promise you: we as the group management board, and I personally, will do everything to solve conflicts constructively and save Volkswagen from harm,” Mueller said in the letter.